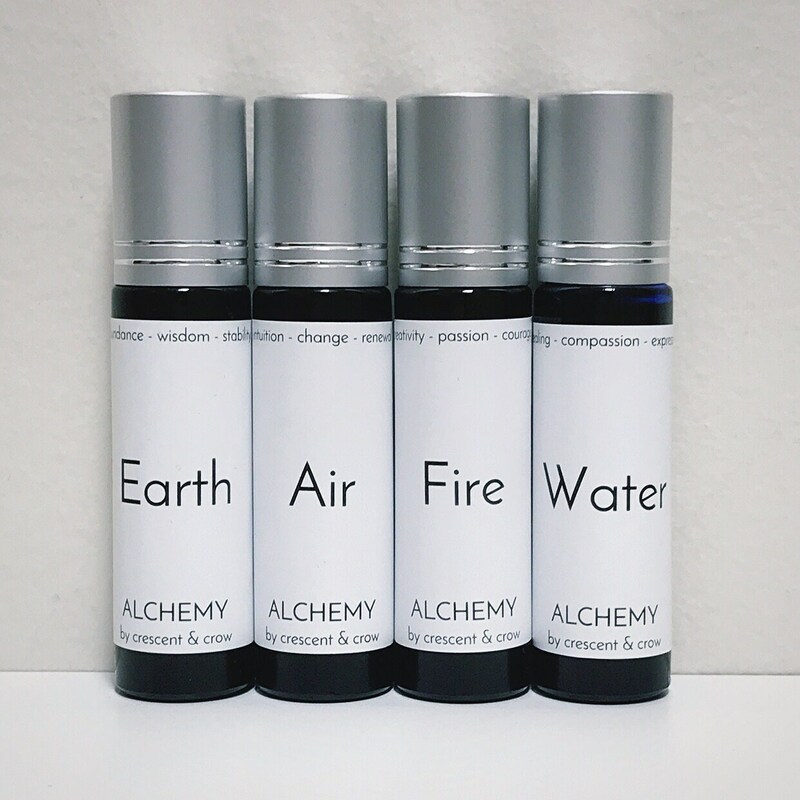 Bring forward the energy of the elements to create balance in your life with this set of four aromatherapy oils. 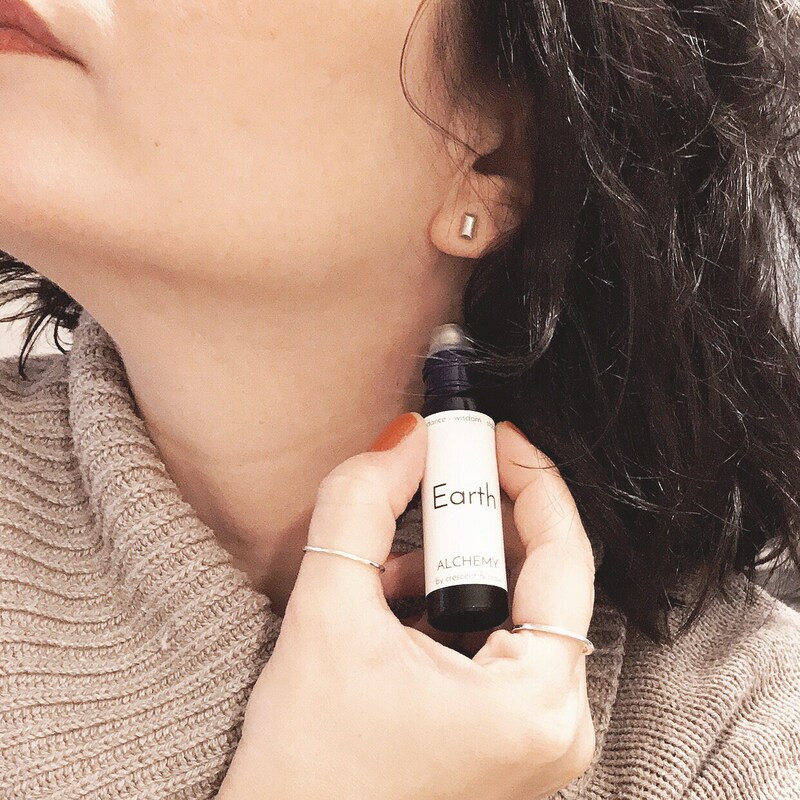 Handcrafted in small batches, each oil is artfully blended using organic jojoba oil and organically crafted essential oils. Aroma : Warm, earthy, woody, slightly smoky. Benefits: Grounding, calming, soothing, aids in easing life transitions. Ingredients: Organic vanilla infused jojoba oil. Organically crafted essential oils of Patchouli, Cypress. Aroma: Warm, herbal, fresh, slightly sweet. Benefits: Soothing, balancing, aids in releasing blocked emotions. Ingredients: Organic jojoba oil. Organically crafted essential oils of Lavender, Bergamot, Clary Sage. Aroma: Warm, sweet, spicy, slightly fruity. Benefits: Supports focus, promotes feelings of confidence, unblocks stagnant energy. Ingredients: Organic jojoba oil. 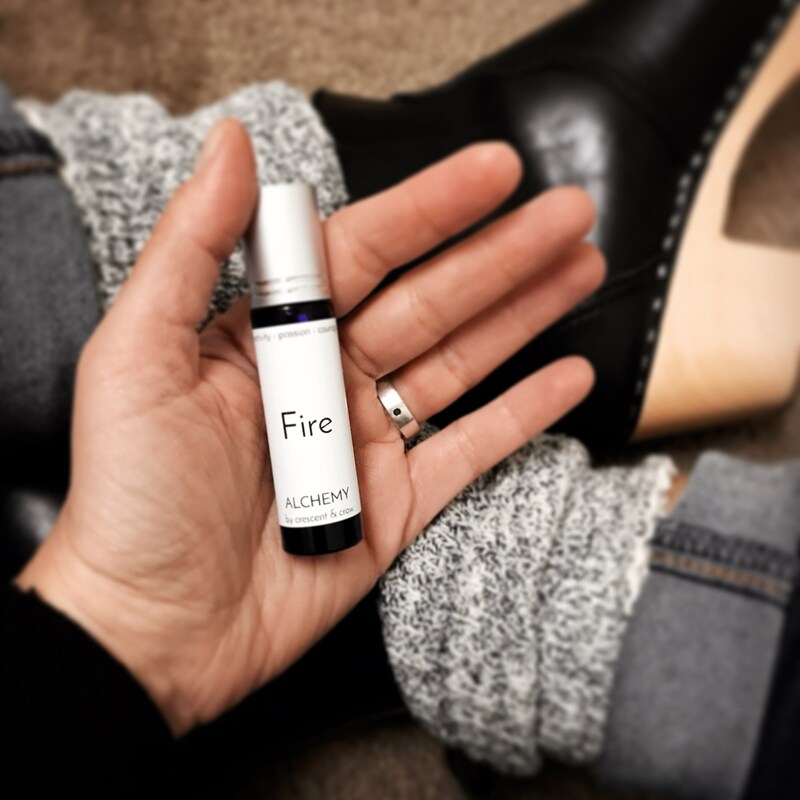 Organically crafted essential oils of Frankincense, Sweet Orange, and Clove Bud. Aroma: Sweet, fruity, slightly spicy. Benefits: Soothing, relaxing, aids in bringing clarity and releasing inhibitions. Ingredients: Organic jojoba oil. 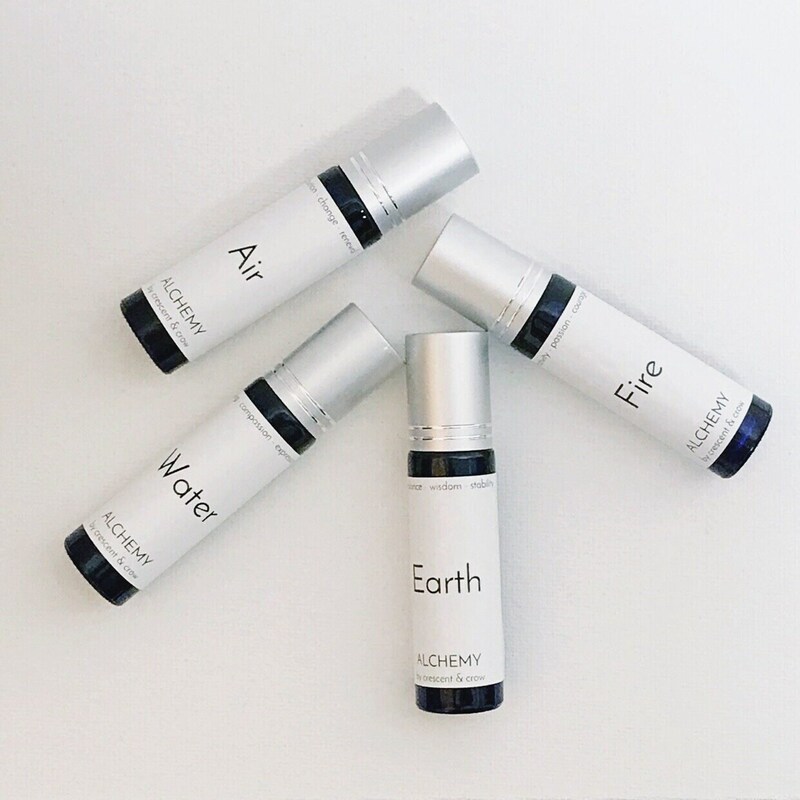 Organically crafted essential oils of Roman Chamomile, Ylang Ylang, and Cardamom. This set contains four, roll-on aromatherapy oils, packaged together in a velvet pouch. Includes descriptions and benefits of each oil blend. Each blend contains 10ml in a glass bottle with a metal roller ball. Avoid application on inflamed, open, or damaged skin. Keep out of reach of children. If pregnant, nursing, or taking medication, please consult your physician before use.